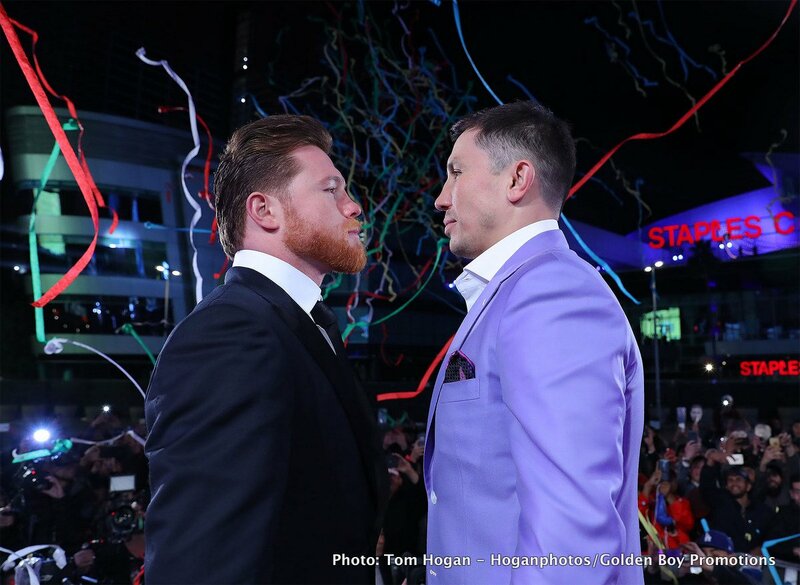 By Larry Jordan: Golden Boy Promotions CEO Oscar De La Hoya is giving Gennady Golovkin a warning message in letting him know that the fight with Saul Canelo Alvarez will be happening on Cinco de Mayo on May 5th. De La Hoya posted on his social media on Thursday that the fight will be happening between the two middleweight stars and that GGG will be knocked out in the fight. Included with his warning message to Golovkin was working out video of Canelo. In the last part of the video, Canelo looked huge in size. We don’t know whether De La Hoya has received information that the Canelo vs. Golovkin fight will still be taking place on the 5th of May or what. The post from De La Hoya seems premature at this point considering that the Nevada State Athletic Commission is still investigating Canelo for his positive drug tests on February 17 and 20. Canelo tested positive on both dates for clenbuterol. The theory that is being put forth to explain the positive tests is Canelo ate contaminated meat in Mexico that contained the clenbuterol drug. Canelo’s three tests by VADA in March have all been negative for clenbuterol. Failing two tests and then passing three tests doesn’t dismiss the first two positive tests. All the negative tests show is that the drug is no longer in Canelo’s system. That could mean Canelo stopped eating the tainted beef or if he’s a cheater, it means he stopped using the drug. Fans want to see Canelo-Golovkin 2, as it’s the biggest fight in boxing right now. The Nevada Commission has a tough job with their investigation of Canelo. Do they let Canelo off based on him having eaten tainted meat or do they suspend him. Allowing Canelo to fight Golovkin after a positive test will upset a lot of boxing fans, who want the Commission to treat the popular Mexican fighter in the same way as they would a less popular fighter. Would the Commission clear an obscure fighter that made the same claim that he had eaten tainted meat in Mexico? Golovkin’s trainer Abel Sanchez wants a thorough investigation of Canelo by the Nevada Commission.